Today we’d like to introduce you to Sherri Belanger. Sherri, let’s start with your story. We’d love to hear how you got started and how the journey has been so far. I got my start as a hairstylist about 15 years ago and it’s been an adventure ever since! I started as an assistant to a well-known hairstylist in La Jolla and during that time I was also lucky enough to train in New York City with some of the best in the business. Aside from working in San Diego, I spent 5 years of my career working in Los Angeles, making dreams of doing celebrity hair come true. I’ve even had the opportunity to be on national television as a hair expert and have been published in national print magazines for my celebrity hair work. Salon Owner Sherri Belanger on The Lady Gang talking all things hair! 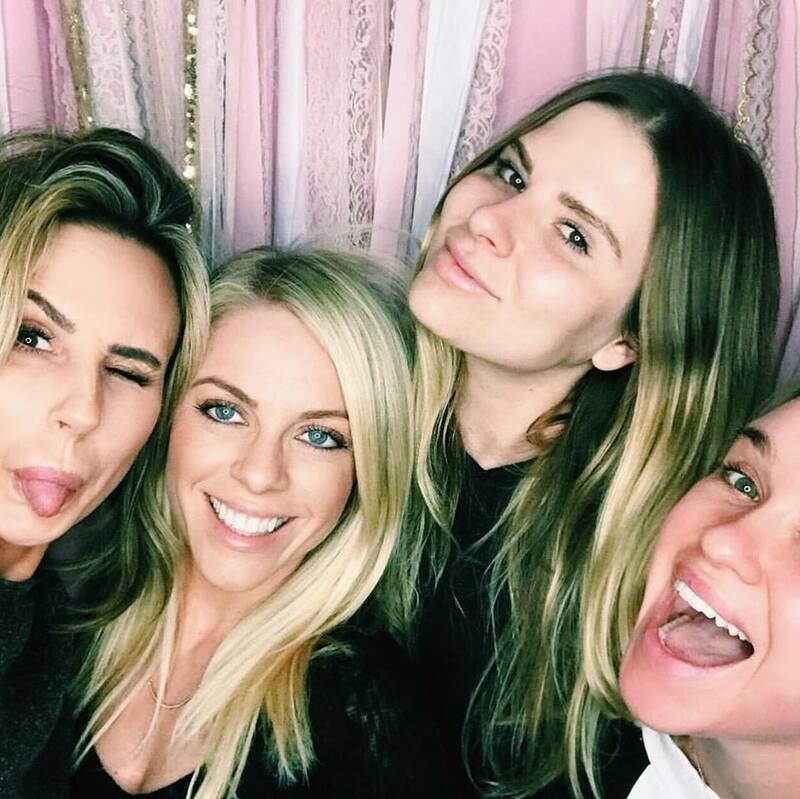 “Ladygang” is a celebrity driven podcast from the minds and mouths of Keltie Knight, Jac Vanek and Becca Tobin. Inspired by their bottomless mimosa brunches, each week a celebrity guest joins the girls for a raw, honest and hilarious look at what life is really like under the bright lights of Hollywood. Guests will help the girl gang answer life’s burning questions from listeners in #asktheladygang and share their own unapologetic stories about stumbling through womanhood. 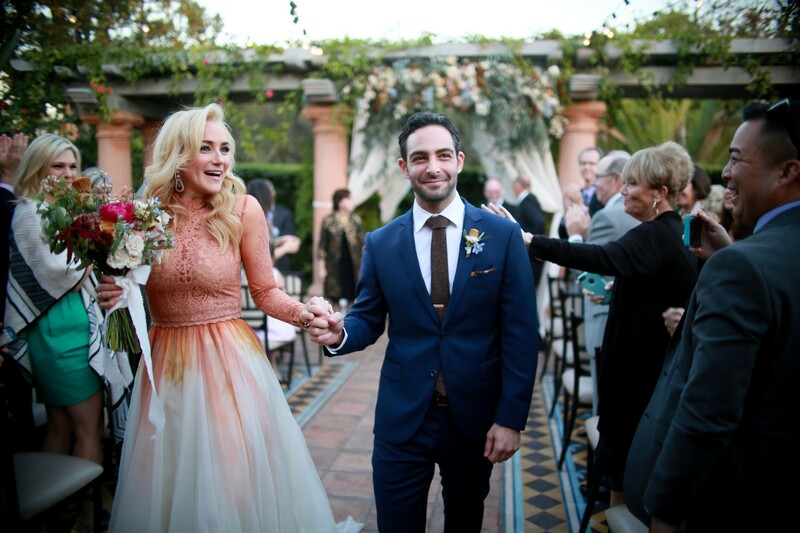 Broadway Star Betsy Wolfe’s wedding day hair by Sherri Belanger. Belle Sirène’s Sherri Belanger had the honor of styling Glee starlet Becca Tobin’s hair for her wedding at the Amangani in Jackson Hole, Wyoming. December 2016. 3 of our talented Belle Sirène stylists had the honor of styling hair for NYFW! Location: Madison Square Garden, NYC. Consider Sherri Belanger of Belle Siréne the fairy godmother of sun-kissed color. Fitting that Herschel Avenue in La Jolla happens to be the block where Belanger started her ascent to tress queen, while training under Jean-Philippe—13 years later, she’s back home. 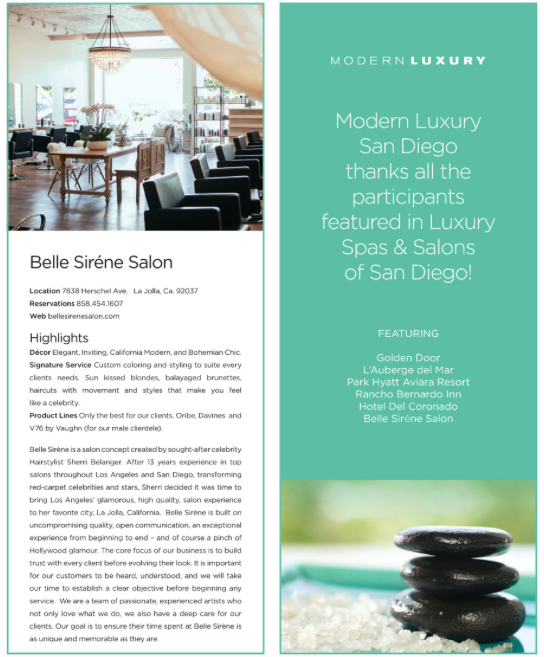 Belle Sirène listed as one of San Diego’s most luxurious salon and spas. March 2017. Model: Sports Illustrated Cover Model Nina Agdal. Hair by Belle Sirène’s Sherri Belanger, Make Up by Belle Sirène’s Cara Paymaster. 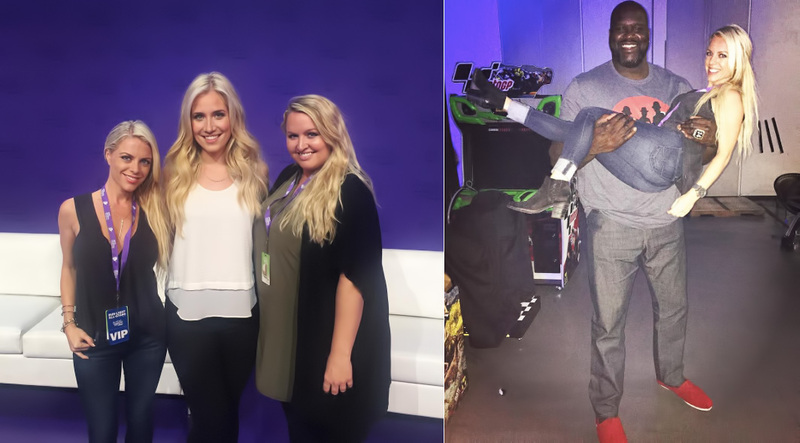 Belle Sirène’s Sherri and Cara were backstage glamming up television host Kristine Leahy for TwitchCon. They also got to hang with Shaq and Snoop Dogg so needless to say it was quite the work day! Hair by Sherri Belanger, make up by Cara Paymaster. Thank You for Visiting Belle Sirène, A La Jolla / San Diego Hair Salon. We appreciate you.